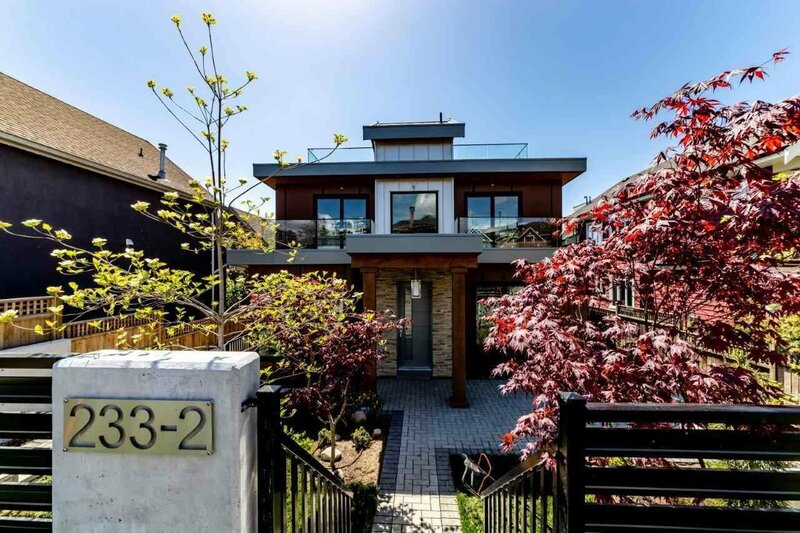 Location plus... ultra modern triplex home that feels like a house! Three BR, very open plan, with view decks off of 2 of the BR plus stunning rooftop "living" on a huge wrap around deck with "everywhere" sunshine & views to die for! Nice size front garden area too. Full lower level with additional BR & den, plus separate entrance... potential plus! Should really be on the "Westside" but we do have parks, our own lower Lonsdale "Brewery" District the Quay & much more.